A correctly centered front axle is essential for a smooth and comfortable ride. When lifting a Jeep, axles are pushed out of alignment by the factory track bars. 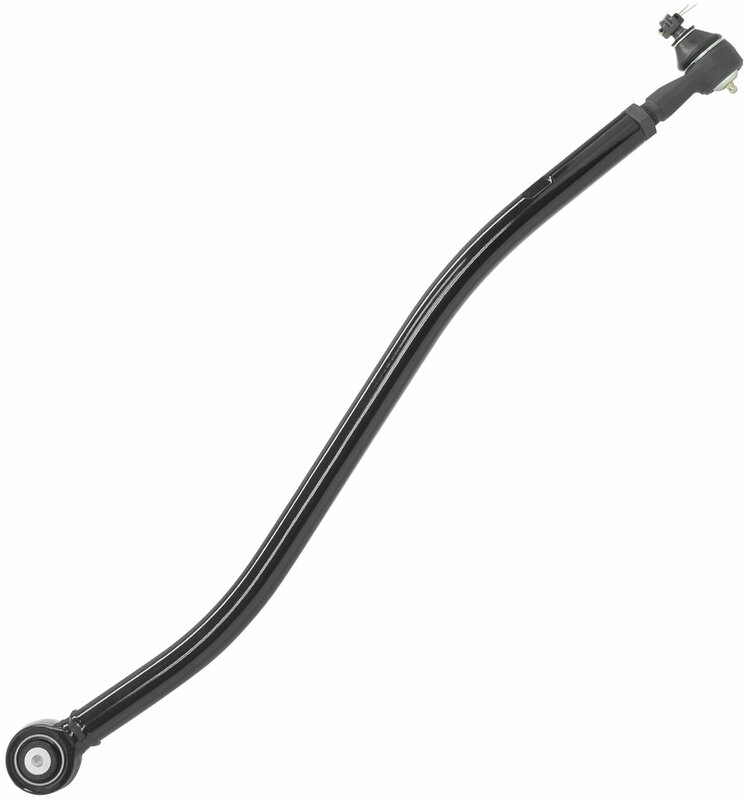 With the Rancho Front Adjustable Track Bar, you are able to precisely tune the suspension geometry in your Wrangler, Cherokee, or Comanche. It is compatible with any 2” to 5” lifts, and fits both two and four door models. With 1.375” outer diameter .290” wall tubing and forged ends, Rancho designed this track bar to be abuse proof. Their D2 bushings are a vast improvement over factory. They are not only long lasting, but they also provide additional articulation and vibration dampening. Adjustable Design: This track bar can be tuned to work with any 2” to 5” lift. A precise fit ensures proper driveline geometry, for a better ride and reduced noise, vibration, and harshness (NVH). Heavy Duty Construction: Rancho manufactures their front adjustable track bars from .290” wall drawn over mandrel (DOM) tubing. With a 1.375” outer diameter and forged ends, this bar can take any punishment you can dish out. D2 Bushings: Rancho’s D2 bushings are self-centering, designed for high-articulation, grease free, fully re-buildable, and constructed from synthetic PFTE Teflon. This combination of features delivers a longer lasting bushing that mitigates NVH.